August 15th Update: Please note that all community consultations regarding Supervised Consumption Services are on hold until further notice. Please check back for updates over the coming weeks. This year, Doors Open Waterloo Region will have a special focus on our ‘built region’. The theme will explore how the fabric of our built environment is woven from the threads of urban planning and design, engineering, infrastructure, architecture and transportation. 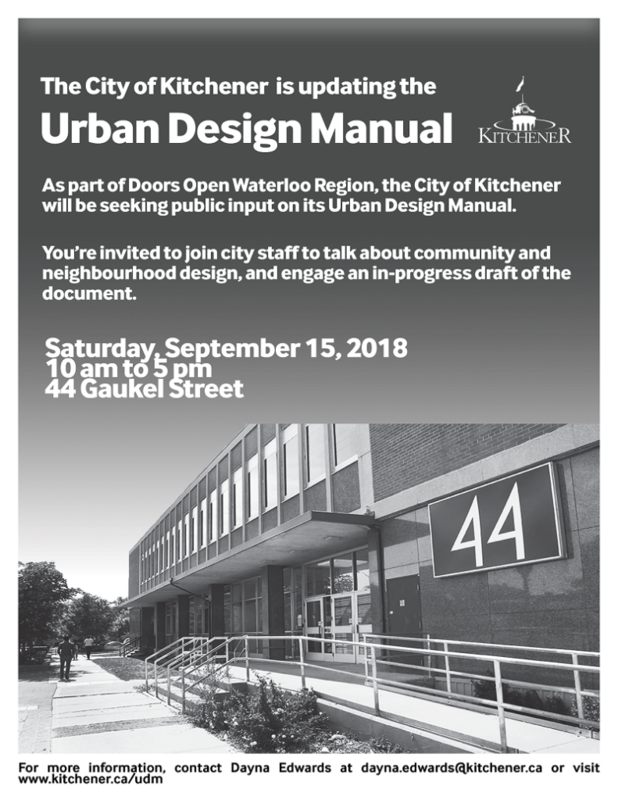 Urban Design staff are planning our second round of public engagement on the Urban Design Manual update to align with the appropriately themed Doors Open event. We will be hosting an engagement session at one of the local ‘open to the public’ buildings–44 Gaukel. 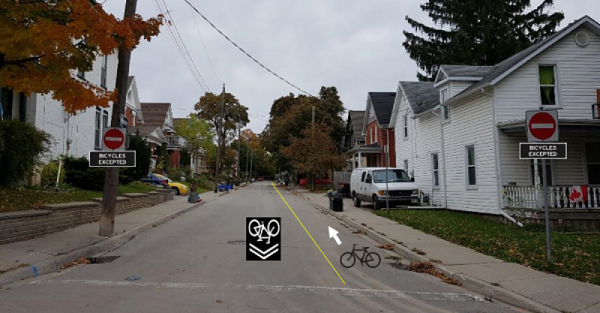 Local residents will be invited to join city staff to talk about community and neighbourhood design, and engage an in-progress draft of the document. (More information: www.kitchener.ca/udm). 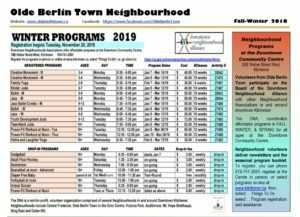 Join Jeanette and Greg Vincent on Saturday, May 5, 2018 for a 1 1/2 hour walk through the streets of Olde Berlin. Both are long time residents with a fascinating knowledge of the area to share. Jane’s Walks are an annual celebration and Kitchener has a chapter of its own. Meet Jeanette & Greg at the rear entrance to the Centre in the Square on Ellen Street; departure is promptly at 6:30 p.m.